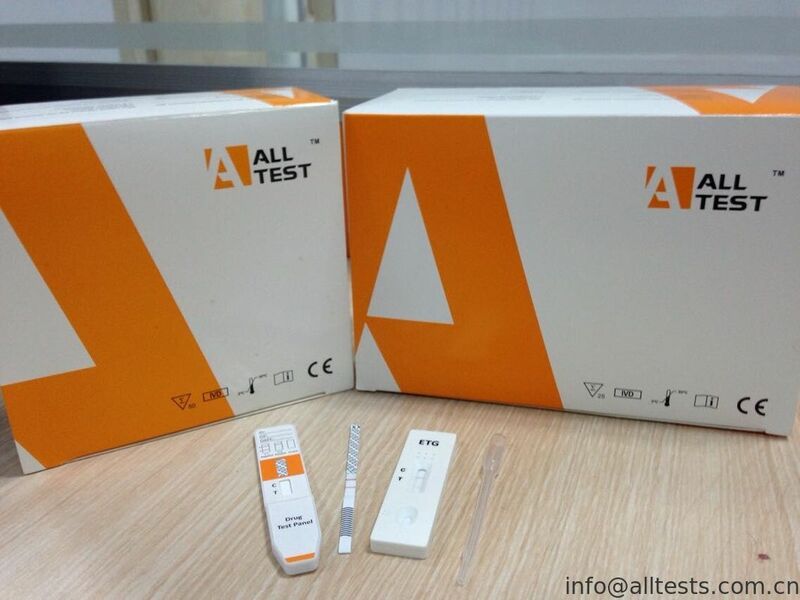 The Urine Alcohol Rapid Cassette is a rapid, highly sensitive method to detect the presence of alcohol in urine and provide an approximation of relative blood alcohol concentration. Allow the pouched cassette to equilibrate to room temperature (15-30°C) prior to testing. Remove the cassette from the sealed pouch and use it within ten minutes. Observe the reactive pad on the central window of the cassette. If the reaction pad has a blue color before applying urine sample, do not use. Place the cassette on a clean and level surface. Hold the dropper vertically and transfer 3 full drops of urine (approximately 120ul) to the specimen well of the cassette, and then start the timer. Avoid trapping air bubbles in the specimen well. See illustration below. The results within 3-5 minutes to read. Compare the color of the reaction pad and standard than colo card to determine the relative blood alcohol concentration. Positive: The Urine Alcohol Rapid Cassette will produce a color change in the presence of urine alcohol. The color will range from light blue color at 0.02% relative blood alcohol concentration to a dark blue color near 0.30% relative blood alcohol concentration. Color pads are provided within this range to allow an approximation of relative blood alcohol concentration. The test may produce colors that appear to be between adjacent color pads. NOTE: The Urine Alcohol Rapid Cassette is very sensitive to the presence of alcohol. A blue color that is lighter than the 0.02% color pad should be interpreted as being positive to the presence of alcohol in urine but less than 0.02% relative blood alcohol. 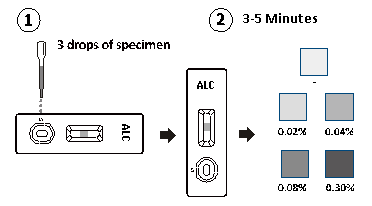 Negative: When the Urine Alcohol Rapid Cassette shows no color change this should be interpreted as a negative result indicating that alcohol has not been detected. 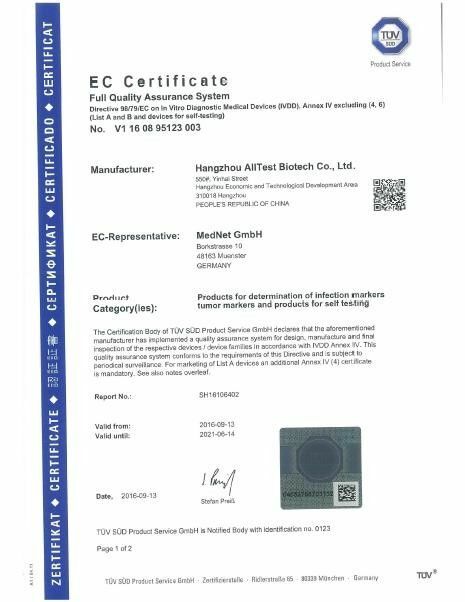 The Urine Alcohol Rapid Cassette is highly sensitive to the presence of alcohol. Alcohol vapors in the air are sometimes detected by the Urine Alcohol Rapid Cassette. Alcohol vapors are present in many institutions and homes. Alcohol is a component in many household products such as disinfectant, deodorizers, perfumes, and glass cleaners. 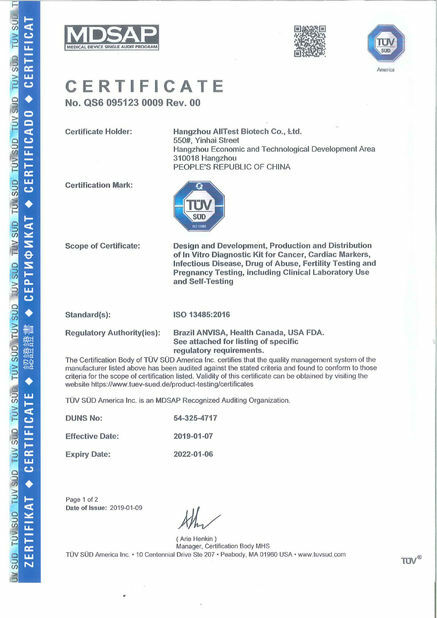 If the presence of alcohol vapors is suspected, the test should be performed in an area known to be free of vapors.